2.1 What Does a University Do? 6.5 Academic Integrity: Why Does It Matter So Much? Setting goals is a responsible first step in making progress, but it cannot stop there. A well-developed goal will fail if you do not take the steps to achieve that goal. 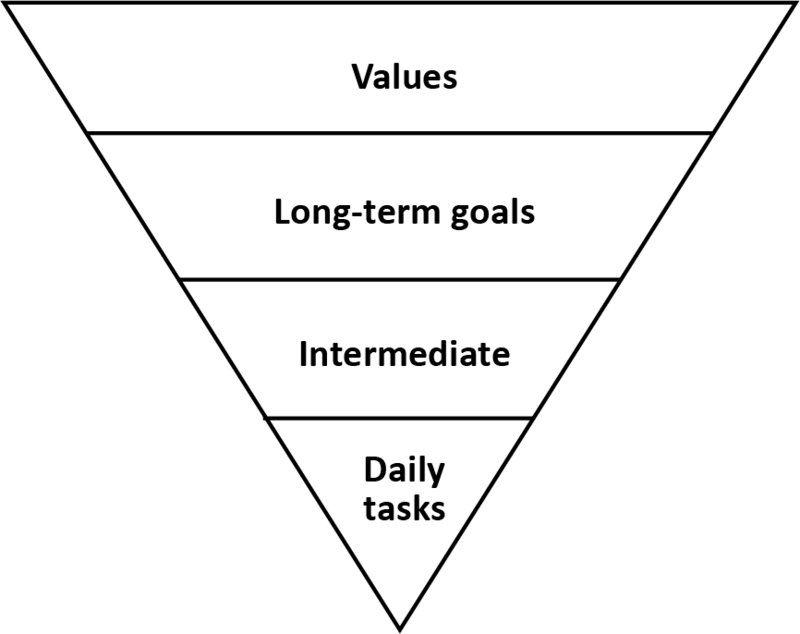 As you are at the implementing stage of the goal-setting process, you should be planning into your schedule the time you need to complete those action steps. For instance, if you value being an educated person or have hopes of being self- sufficient someday, you would set long-term and intermediate goals that would reflect your attitudes and values. Likewise, your daily tasks should reflect that you are working to meet those goals by completing the work necessary to earn the education you want. Not scheduling the time needed to complete the work necessary to earn a degree is where students most often fail in college. 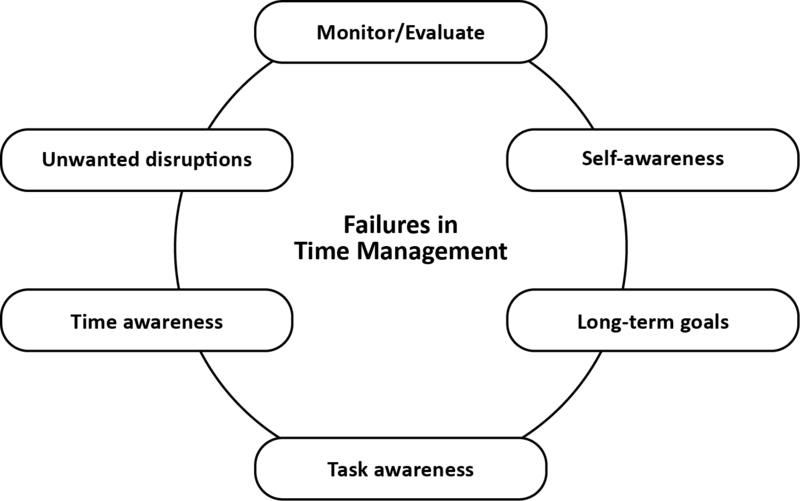 As illustrated in Figure 4-5, self-awareness and long-term goals need to be considered hand-in-hand. You need to determine how committed you are to the goals you have set for yourself. If you are not committed, you will be less likely to plan the time needed on a daily basis to achieve a goal. You need to consider the demands of the task you are faced with completing and make sure you are planning accordingly. For instance, have you scheduled enough time at your alert time of the day to read your chapter in history or to complete your math homework when the Math Clinic is open? Do you need materials from the library to complete your paper? Students who say, “I can do this later,” often lack an awareness of how much time there is in a given day or how far away deadlines may be and what else needs to be done at the same time. In addition, part of time management is managing your environment to avoid unwanted disruptions so that you can concentrate on the work at hand and complete it in an efficient time frame to maximize the learning moment, which will be discussed more at length in the “Concentration” section of this chapter. Finally, and maybe most importantly, some students fail to evaluate how they are doing on individual assignments or in their courses in general to determine if they need to be spending more time on academic endeavors. Which of these factors seems to impair your ability to manage your time well? Semester Calendar. Good time management requires a look at the big picture as well as the day-to-day activities. Documenting big events (e.g., holidays, weekend excursions, visitors, Homecoming, etc. ), course deadlines (e.g., exam dates, paper due dates, class presentations, project due dates), and other important dates (e.g., birthdays, regular appointments, last drop day, first and last day of classes, etc.) 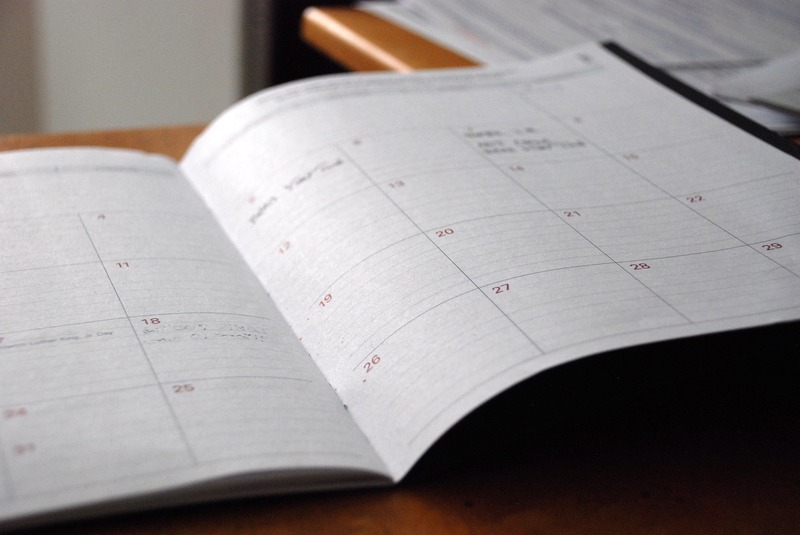 on a monthly calendar that you can post for easy and frequent review can help you see if you have conflicting events and deadlines. For instance, if you are planning to be out of town on a particular weekend and find that have an exam scheduled on Monday after you return, you could plan ahead in studying for that exam rather than thinking, “I can study for that this weekend,” only to remember later that you have plans. Once you have all of these items documented on your semester calendar, input this information into your weekly calendar as general notes, as well (York University Counseling and Development Centre (CDC), 2007). As you build your semester calendar at the beginning of each term, you should consult the Academic and UTA Events Calendars. To view the Academic Calendar, go to the UTA Main Home page, www.uta.edu, click on Current Students>Academic Calendar and select the term for which you are planning. Marking dates like census, the last day to drop classes, registration periods, school holidays, and final exams will help ensure that you do not miss anything important. These dates are deemed “official” by UT Arlington faculty and administration. Conflicting dates on course syllabi or other calendars should be questioned. To view all of the events scheduled on campus, go to the UTA Main Home page, www.uta.edu, and click on “All Events” under the “Events” tab of the page. Check the UTA Home page and this calendar often as they are regularly updated. Weekly Calendar. Once you have the big picture in mind you need to look at a week at a time so that the balancing act can begin. First, start by listing all of the times that you are in class and block that time out. Then, list other routine events, like your work schedule, commuting, typical meal times, church services, etc. Draw lines for your targeted wake up and bed times as a reminder that you should try to plan for 8 hours of sleep per night. Consider your “academic” work week and the number of hours a week that you need to study to be successful. Semester and weekly calendars do not have to cost a fortune; print blank monthly and weekly calendars from Microsoft Outlook installed on many computers, and place in a three-ring binder (York University CDC, 2007). On the average, your faculty members would recommend that students study 2–3 hours outside of class for every one hour spent in class (York University CDC, 2007). For instance, if you are taking a class that meets 3 hours a week, you should be preparing and reviewing for that class on the average of 6–9 hours per week. That is a full-time job! Mark on your calendar the blocks of time that you can study. It is worthwhile to even write the course that you are going to be studying and special tasks to be completed at that time so you can ensure you are studying for all of your courses and not just ones you like or that are in your major. Remember, every course that you take stands between you and earning a degree. Set up routines. For example, if you have a Math class on Mondays, Wednesdays, and Fridays, schedule solving math homework problems during the afternoon on those days at the Math Clinic. If you have a history class on Tuesdays and Thursdays, schedule reading time for history on Mondays and Wednesdays to prepare for class and review of class notes on Tuesday and Thursday nights. Honor these study times as you would an appointment with your doctor or hair stylist. Now, you can adjust your study times, but be sure it is not at the expense of sleep or doing quality work. Once you have a rhythm, you will find that studying will become a habit. The remaining time in your schedule can be considered recreational/leisure time: time for spending with family and friends, engaging in student organizations and activities, exercising, playing on the Internet or watching TV, etc. Many times, leisure activities can be combined with spending time with family and friends in order to multi-task effectively. To-Do Lists. At the beginning of each week before you develop or rework your weekly calendar, start by writing a list of all the academic and personal things that you need to accomplish that week. What readings do you need to complete to prepare for class? What phase of a writing assignment do you need to complete? What shopping do you need to do? 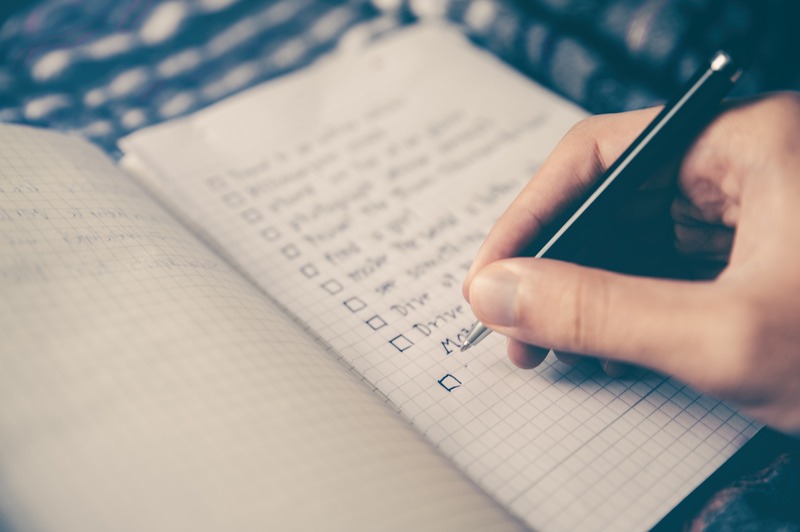 Prioritizing the list will also help you decide what absolutely must get done versus what would be nice if you could get this done. Mark off the items you accomplish and place the other items on your list for the next week. If you find that items are piling up, leisure time needs to be reduced until you are caught up (York University CDC, 2007). Project Planners and Five-Day Study Plans. Larger class projects, such as writing a paper, preparing for a speech, learning a new piece of music, creating a work of art, can be a daunting task that can often lead students to procrastinate, in part because they are unsure where to even start. Immediately after the assignment is given, take the time to think about the steps that you need to complete that project and write them down. Once you can see all the parts, it is easier to conceive how to get it done. It is also useful to take these steps to your faculty member’s office hours to discuss as he/she may have suggestions on other intermediate steps. Once you have all of your steps identified, set your own deadlines for when these steps need to be completed so that you can ensure you are making progress on the project. Make sure you have plenty of time to access the resources you need to problem solve if obstacles arise. Keep in mind, it is very difficult to get help from campus resources at midnight the night before the big project is due! Oftentimes, students see an exam as something that they should only study for a night or two before the test. Instead, students need to look at test preparation as an act that starts on the first day of class and ends when the final exam has been completed. Every time you prepare for class by reading the assignment or reviewing your notes after class, you are in essence preparing for a test. It is recommended that students begin the review process for an exam that includes more than one chapter of material at least five days in advance of the exam. Refer to “Create a Five-Day Study Plan for Exams” in Chapter 5 for steps on how to effectively create an exam study plan. Use your tools. Utilize semester and weekly calendars, to-do lists, and project planners. Use “wasted time.” For example, in between classes, review your notes or read the next chapter for a class or bring a book to a doctor’s appoint- ment and read while you are waiting. Set times to study and determine what you intend to accomplish during that study time, but be realistic in what you can accomplish at a given time. Take short breaks. For 50 minutes of studying, take a 10-minute break. Alternate topics to study if you are studying for more than one hour at a time. Schedule tasks that require more energy to stay focused during times of the day that you have higher energy levels. Sleep should not be sacrificed for study time. If you need more study time, decrease your leisure activities. Study in places with limited distractions…and most importantly, turn off your cell phone. No Limits by University of Texas at Arlington is licensed under a Creative Commons Attribution 4.0 International License, except where otherwise noted.